Your school homepage provides the first impression of your school for many families, prospective families, job seekers and community members. What kind of impression is it leaving? Over the last 15+ years helping schools develop websites, we’ve learned a thing or two. 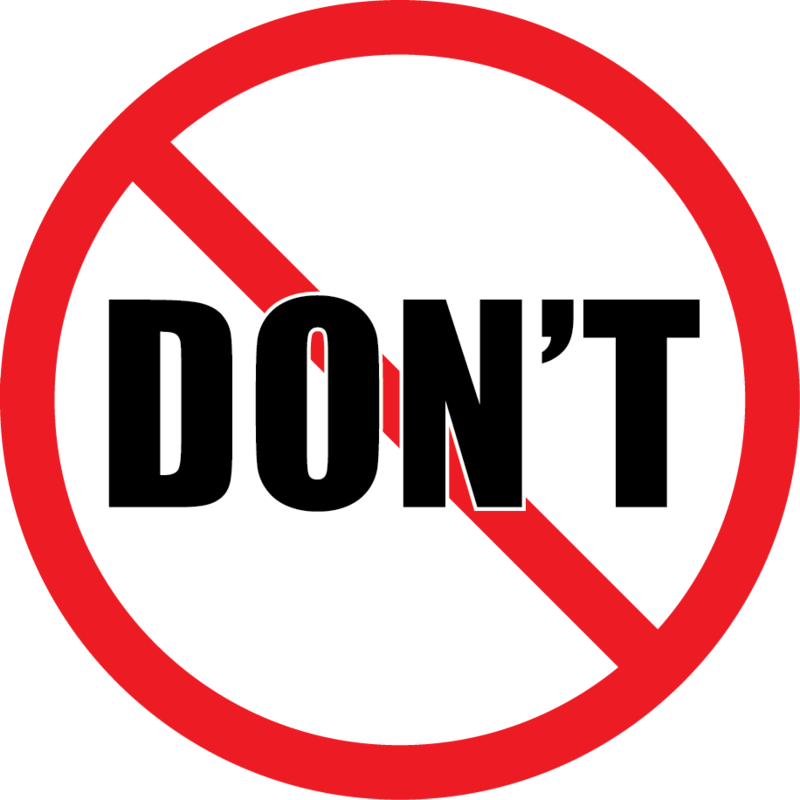 Here are our top six “don’ts” for school webpages. Long school philosophy/principal letter: With all due respect to the principal, if the philosophy/intro letter is read, it’s only read once. After that, it takes up valuable space for the things people need every day. Move it into the “About Us” section. Multiple picture galleries: These slow the homepage and make it confusing to look at. If you want to post galleries, you should – they are great! Just put them on the class or group page where they belong (e.g. the pictures from Mr. Watts’ history class trip to Washington go on Mr. Watts’ class page). For galleries of pictures for a current event, post an announcement about the event in your feed and include a link to the gallery. Random items in your primary navigation: Make sure each element of your primary navigation is a major category. Often we’ll see a single item like “School Supply List” in the primary navigation alongside the major categories like “About Us” and “Academics.” Maybe it got put there because the principal or webmaster was in a rush. Now is the time to give it a more logical home. The dancing chicken: We see this less these days, but some schools just can’t resist the animated GIF. It is almost never a positive addition and can detract from the professional image you want to project. Too much stuff: If your homepage is more than three screens tall on a desktop computer, there is probably too much content there. Less is more! Decide what content should be placed on sub pages. If your navigation scheme is good, people will find it easily. Stale content: Make sure there is never anything that’s obviously past its sell date. A “Welcome back to school!” post that’s still up in November says something to the outside world that you don’t want to say. This list isn’t exhaustive, but if you avoid these mistakes it will go a long way towards improving the user experience for your school website visitors. Free Google Apps for Education: What’s in it for Google?